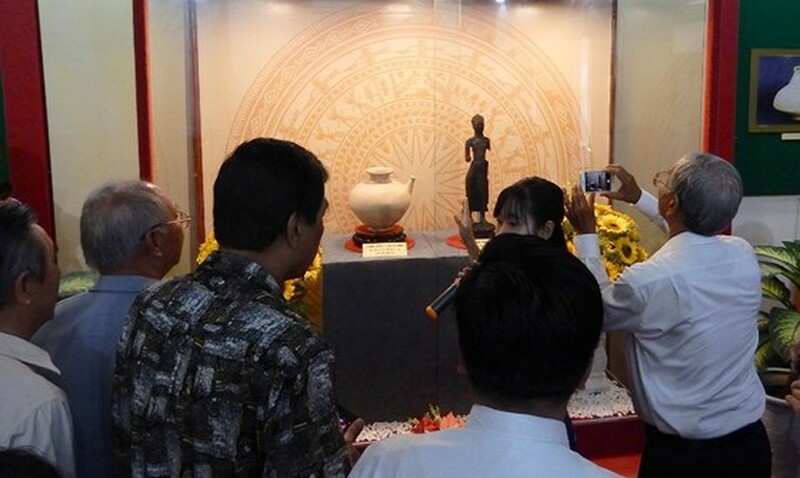 Exhibition on “Study and Follow Ho Chi Minh’s Moral Example” marking the late President Ho Chi Minh’s 129th birthday (May 19) opened at the Museum of the Mekong Delta city of Can Tho on April 2. 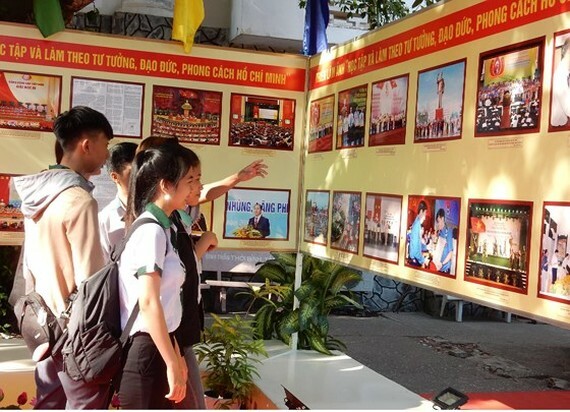 Students visit the exhibition on “Study and Follow Ho Chi Minh’s Moral Example”. The event organized by the municipal Department of Culture, Sport and Tourism aims to celebrate the 42nd anniversary of Reunification Day (April 30) and May Day (May 1). The exhibition features nearly 200 photos, documents and writings of Uncle Ho, promoting fine traditional moral values of Vietnam and emphasizing the deep value of Ho Chi Minh thoughts and of his moral example and encourage the public to study and follow Uncle Ho’s example. The two exhibitions introduce 64 folk paintings of famous craft villages, including Dong Ho in Bac Ninh province, Hang Trong in Hanoi, Kim Hoang in Hanoi’s Ha Tay district, Sinh Village in Thua Thien-Hue province and Doc Loi in Nghe An province; together with more than 300 photos and items of ancient cultures of Dong Son, Sa Huynh and Oc Eo. 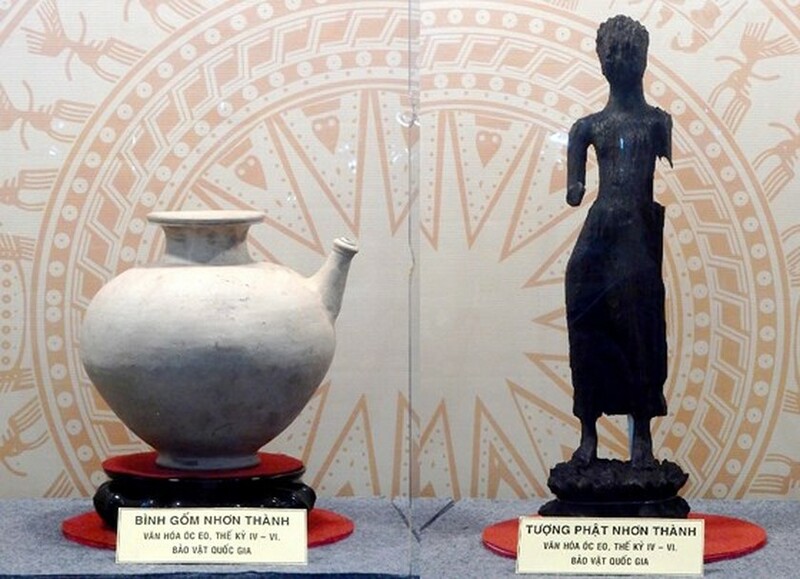 The organization board has also announced that artifacts, Nhon Thanh pottery water pot with tap and Nhon Thanh Buddha statue dating back Oc Eo Culture in the 4th-6th century in Can Tho City have been recognized as a national treasure under a recent decision of Prime Minister Nguyen Xuan Phuc. 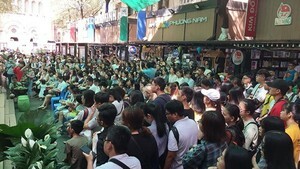 The exhibitions will run until May 25. 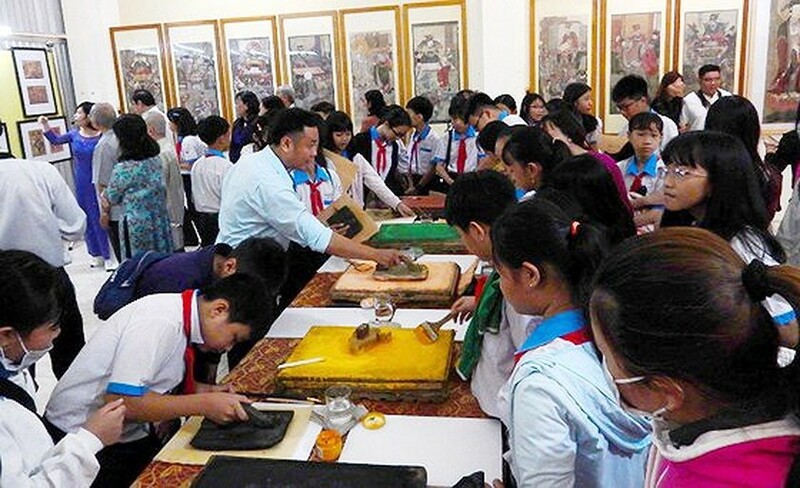 Students join the process of making Dong Ho paintings.